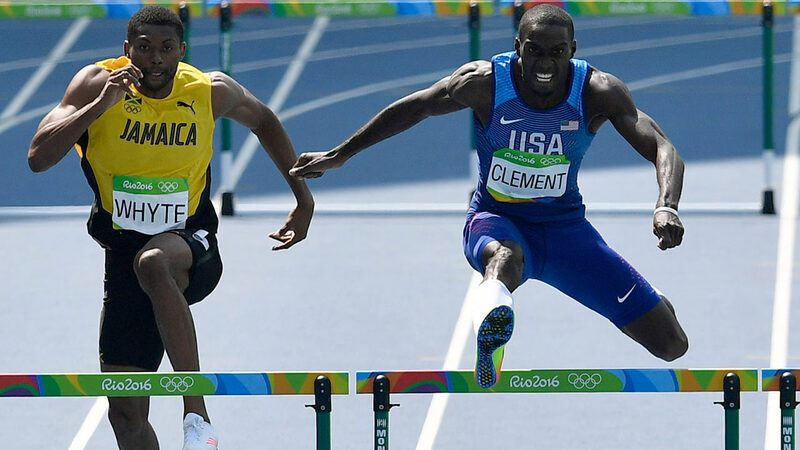 RIO DE JANEIRO, Brazil -- Two-time world champion Kerron Clement finally has an Olympic gold medal in the 400-meter hurdles. The 30-year-old American from La Porte, Texas, won the world titles in 2007 and '09, sandwiched around his Olympic silver medal in Beijing, but hadn't been back on the podium of a major championship until winning Thursday's final in a season-best 47.73 seconds. Boniface Mucheru Tumuti took silver for Kenya, 0.05 behind, and Turkey's Cuban-born Yasmani Copello, the European champion, won bronze in 47.92. Javier Culson, the 2012 Olympic bronze medalist from Puerto Rico, was disqualified for a false-start. Four of the finishers produced national-record times, including Tumuti and Copello.